If you’ve ever asked a short-term missionary about their experience, you’ve probably heard one of these statements in response. 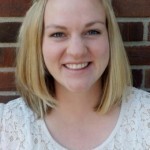 Returning short-term missionaries often benefit from processing their experiences. In fact, TEAM recommends each of our short-term missionaries debrief from their trip with both their missions coach and their church community. However, helping someone process a cross-cultural mission trip isn’t always as easy as it sounds. Often, the questions asked are so broad that missionaries struggle to articulate answers without going on an hour-long tirade. Short-term missionaries also tend to worry that other people aren’t as interested in the trip as they themselves were. But a listening ear and caring community can help. 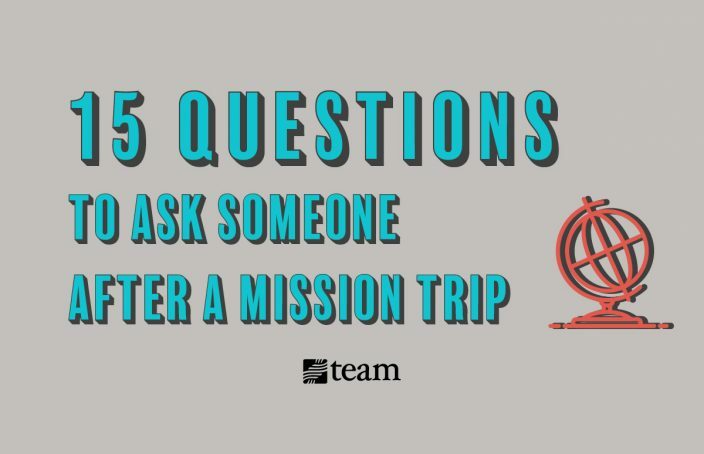 Keep reading to learn 15 specific and open-ended questions to ask after a mission trip. Why: Trying to fit a life-changing trip into just a few words is overwhelming. Asking specific questions about their experiences shows you are interested in hearing the details of what it was like serving cross-culturally. Learning about the host country also gives you the opportunity to broaden your own worldview. While you may not have been able to go on the trip, the missionary’s answers can help you better understand the need for the Gospel in other parts of the world. What do you miss most about your host country? How can I be praying for you now that you’re back? How can I pray for your host country and new friends? What did you miss most while you were gone? Why: Reverse culture shock is a stress missionaries who have spent time overseas often experience when they return home. It can be confusing and overwhelming for a returning short-termer. By asking specific questions about their transition, you acknowledge that it is okay for their experience to continue to shape and affect them. How did God change your view of the world? Do you need any help finding housing, transportation or a job? Why: Asking someone what’s next after a significant cross-cultural experience can be stressful and overwhelming. It can also make them feel as if they need to get back to “normal life” as soon as possible, which is often difficult as God continues to move in their life. Asking specific questions about a missionary’s cross-cultural experience can help them process how to take what they’ve learned into the next stage of their life. To read one woman’s account of how a short term trip changed her life, check out this story. Your interest and prayers will mean the world to a returning short-term missionary if you take the time to ask them the right questions. That is why we have put together these questions to ask after a mission trip in a printable list. Download your free copy to help short-term missionaries begin processing their trips today. Thank you Anna for this information. 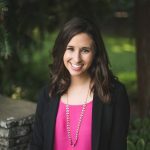 It has helped me to connect with fellow missionaries who came back last week fro their missions. Thank you. Thanks, Leah! You can download the 15 questions on the banner above that says “Download Now”. Thanks for reading! 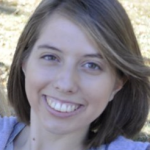 Lidia, feel free to check out this link for photos and stories of what God is doing in Southern Africa: https://southernafrica.team.org/. Also, be on the lookout for a new blog next week featuring former missionaries sharing their testimony about their time Southern Africa and where they are serving today. Thank you so much. I am interviewing someone in my class about mission trips. That’s awesome, Eden! I hope these helped!